Once upon a time, the German navy had a beautiful sailing ship. The Gorch Fock, a handsome three-masted barque built in Bremen in 1958, crisscrossed the oceans for nearly 60 years. It was not just an outstanding training vessel, but also a superb good-will ambassador. As a symbol of the new Germany’s openness to the world and of its sailors’ skills and hardiness, it was an extraordinary success. The ship always drew admiring crowds. The Gorch Fock was so popular that a picture of it under full sails adorned the 10-Deutschmark note. There is even a special Gorch Fock song for the crew. The ship has its own fan website with travel reports and some fine amateur poetry devoted to life on board. It has also played a serious role for Germany’s military. Over the years, nearly 15,000 navy officers and NCOs have done part of their training on the Gorch Fock. During the seven or eight weeks they spend on the ship, cadets learn to man the yards—as high up as 45 meters—in any weather and sleep in hammocks slung in several tiers for lack of space. It is, navy commanders insist, a formative experience that has taught many young people not only a good bit of seamanship, but also how to deal with their fears, push their limits, and work as a team. As a result of their stint on the sailing ship, Germany’s navy officers are a much more close-knit community than their counterparts in the army or the air force. Since November 2015, however, the Gorch Fock has been laid up for repairs. Month by month, more problems with the ageing ship were discovered. Early on, for instance, the masts were repainted; several layers of varnish were applied. When doubts surfaced about the masts’ soundness, the paint had to be stripped off again. Detailed analysis then showed that the masts needed to be replaced altogether. Eventually, the hull was also found to be corroded. Not even the pumps worked properly. What has emerged is a saga of incompetence and cutting corners, of institutional arrogance and spiraling costs, of lack of leadership and corruption. Once more, the Gorch Fock has turned into a powerful symbol—but this time of a Bundeswehr that is struggling to become a modern, effective force. On a more personal level, part of the blame for the Gorch Fock debacle is being laid on Ursula von der Leyen, the Christian Democratic politician who has headed the defense ministry since December 2013. 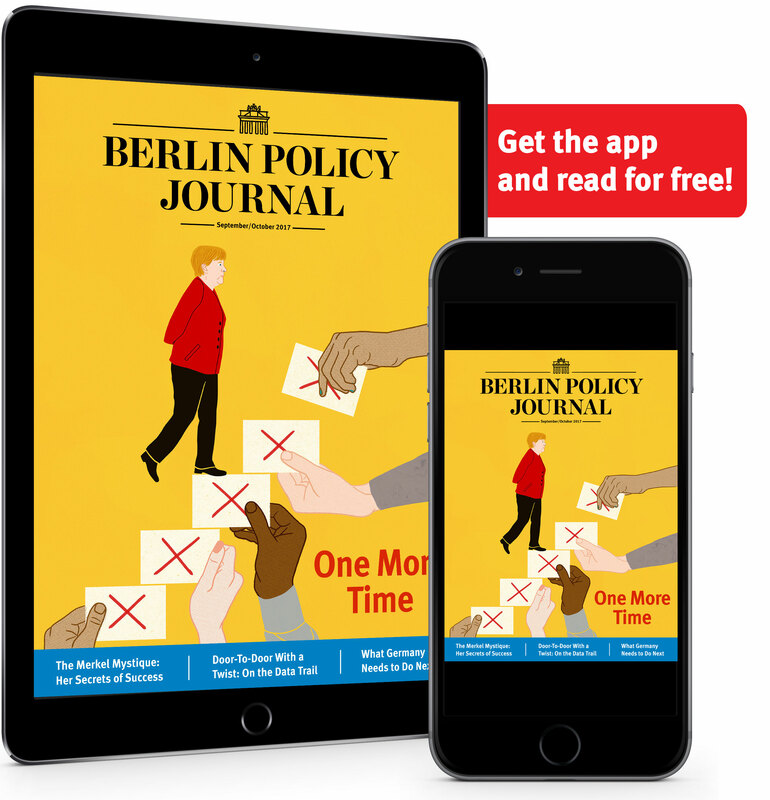 Von der Leyen, Germany’s first female defense minister and once seen as a strong candidate to succeed Angela Merkel as chancellor, has become bogged down by the huge difficulties of Bundeswehr reform. 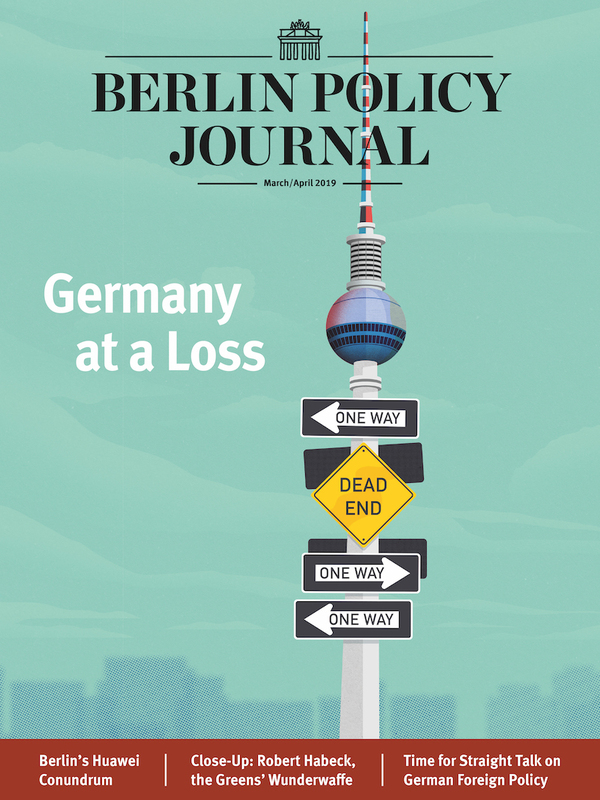 To be fair, running the defense ministry has always been a poisoned chalice, and von der Leyen has coped for much longer—and with better results—than most of her predecessors. Coming to grips with an entrenched and sometimes unwilling bureaucracy is difficult. Von der Leyen reached out to external consultants to help prepare and push through decisions. Now she faces a parliamentary enquiry into why her ministry spent so much money on consultants. The origins of the Bundeswehr’s troubles go back to the early 1990s. When the Cold War ended, Germany was happy to enjoy the peace dividend, especially because of how expensive reunification was proving. For a quarter century, little money and attention went to the Bundeswehr. Troop numbers were cut radically; equipment orders were postponed or reduced, and any remaining resources were redirected toward out-of-area peacekeeping missions. Then, in 2014, Russia annexed Crimea and started to wage war in eastern Ukraine. Territorial defense within NATO suddenly regained importance. Very quickly, it became obvious that the Bundeswehr did not have the means to sustain both a credible defense at home and several missions abroad. In 2015, von der Leyen pushed through what has been dubbed a triple turn-around: more money, more equipment, and more personnel for the Bundeswehr. Since then, Germany’s defense budget has been rising steadily, from €32.4 billion in 2014 to €43.2 billion this year. Still, it’s a slow process. New equipment takes years to order, the bureaucracy is byzantine, and suppliers from Germany and elsewhere are infamous for their delays and cost overruns. Just look at the Gorch Fock: when the ship was first brought in, the shipyard said repairs would cost €10 million and take 130 days. In March 2016, the cost estimate rose to €12.6 million, in June to €22 million, in August to €33.5 million, and in September 2016 to €64,5 million. Works were stopped but started again with von der Leyen’s approval when she was assured that bringing back the ship would cost at most €75 million. Those assurances were false. “At first, we wanted to repair just a few things, but then we looked behind the boards, and you could see that she needed a complete makeover,” von der Leyen recently said. “With the exception of the keel, nearly everything needs to be replaced.” From €128 million in early 2018, the repair bill has currently moved to €135 million. 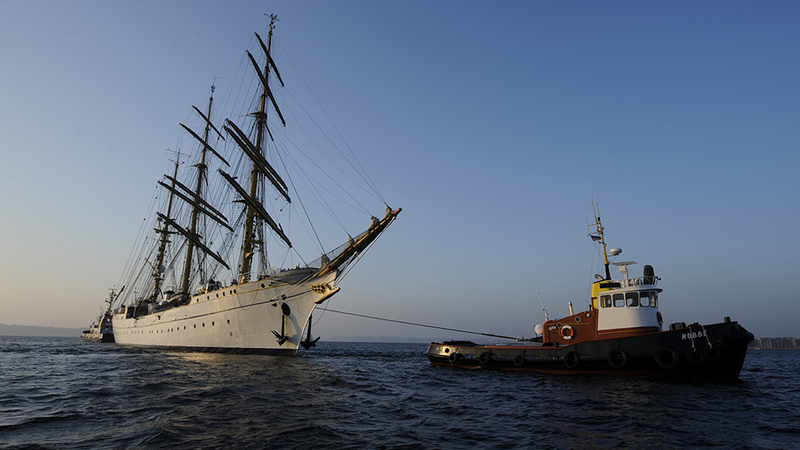 Last month, the Federal Court of Auditors sent the defense ministry a scathing report on the mismanagement of the Gorch Fock repairs. The 39-page report, which was leaked to the press, said the Bundeswehr had done no economic feasibility study before ordering repairs. It had also never seriously investigated whether it might have been cheaper to build a new ship. Hans-Peter Bartels, Germany’s parliamentary commissioner for the armed forces, did not mince his words either. In his yearly report presented at the end of January, he pointed to the Gorch Fock as a prime example of how time and money gets wasted at the Bundeswehr. “Nobody seemed to have the task to ask: ‘Is it normal that the price of repairs increases 13-fold from €10 million to 135 million?’,” Bartels said. The German navy isn’t just short of an unarmed sailing ship, either. For years, it has been waiting for the delivery of new frigates and corvettes; the old fleet is outdated and worn-out. Only three of six submarines are fit to dive, and because of engine failure, the only two tank ships have both been out of order since the summer of 2018. No wonder that the Bundeswehr is finding it increasingly difficult to hire enough young people to keep the force at its current 181,000 soldiers—the economy is doing well, after all, and the many reports about equipment shortages and bad working conditions aren’t helping. “Bundeswehr Disgrace: Everything’s Junk! (with the exception of our soldiers),” screamed a recent front-page headline in BILD, Germany’s largest mass-circulation tabloid. It’s not just the troops who are suffering because of the break-downs. Over the past several months, the German chancellor, the federal president, and several ministers have found themselves stranded in remote airports because of engine and security problems with government planes that are run by the Bundeswehr. Stung by public embarrassment, Berlin has taken a decision to buy three new government aircraft. Germany’s soldiers now hope for more sympathy from politicians—more resources, quicker decisions, and less bureaucracy. But it will take years to bring Germany’s military back up to scratch. Still, for the Gorch Fock, at least, there is hope. With so much money already spent on rebuilding the ship, Defense Minister von der Leyen has decided to let the repair works go ahead. The shipyard’s management has been replaced, and investigations into alleged corruption are ongoing. According to the navy’s most recent time-table, the Gorch Fock will be sailing again in 2020.